It won’t be much longer before we have photos of the finished community service project for Children’s Healthcare of Atlanta, but in the meantime I am going to describe even more green features that went into the construction of the Green House. This entry was posted in The Green House and tagged Atlanta community service project, ENERGY STAR, green products, The Green House on August 8, 2008 by Carol Morgan. 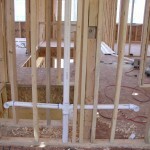 Plumbing installation has begun and is well underway at the Brock Built Green House. 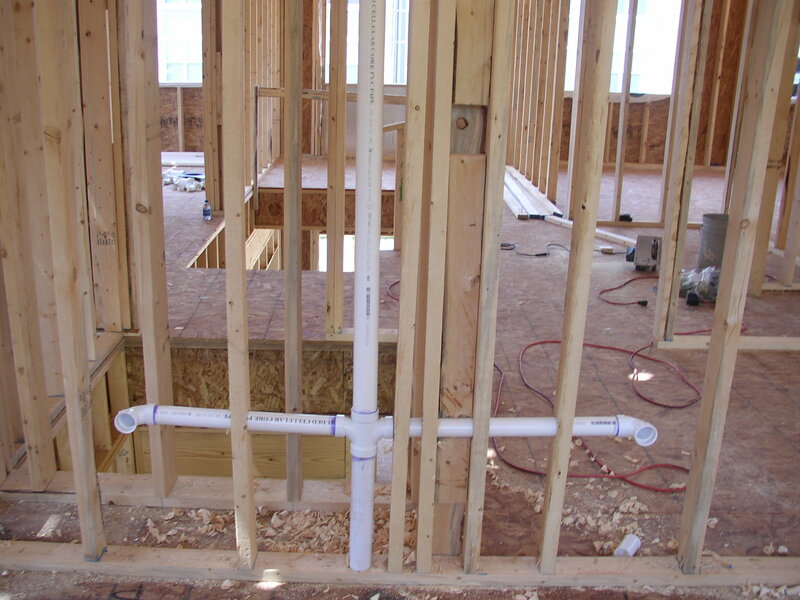 Thanks to Randal Lowe Enterprises, the homeowners of this extraordinary project will have an impeccable plumbing system that promotes green living. Children’s Healthcare of Atlanta is extremely thankful to Randal Lowe Enterprises for donating their time and expertise. It’s so great to see this amazing community service project come along so quickly and effectively. 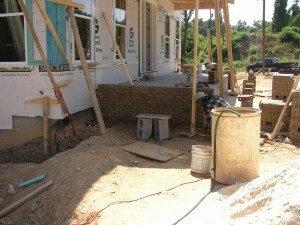 Atlanta homebuilding professionals have really come together together to make this home a reality. Great Job! This entry was posted in The Green House and tagged Atlanta community service project, Brock Built, Children's Healthcare of Atlanta, Green House, Randal Lowe Enterprises on June 18, 2008 by Carol Morgan. As you can see progress is taking huge strides forward in the development of the Green House. JAR Construction has generously donated their time and effort towards the completion of the Atlanta community service project. With the framing almost complete, you can really get a visual as to what the house is going to look like. This is going to be a fantastic home for a great family. Just look at the lot – the house backs up to beautiful wooded area, resulting in exquisite natural views. If this looks like a home you can imagine yourself living in, remember that all of the proceeds from the purchase of this house benefit Children’s Healthcare of Atlanta. Thank you JAR Construction for offering such a tremendous helping hand. This entry was posted in The Green House and tagged Atlanta community service project, Children's Healthcare of Atlanta, Green House on June 10, 2008 by Carol Morgan.